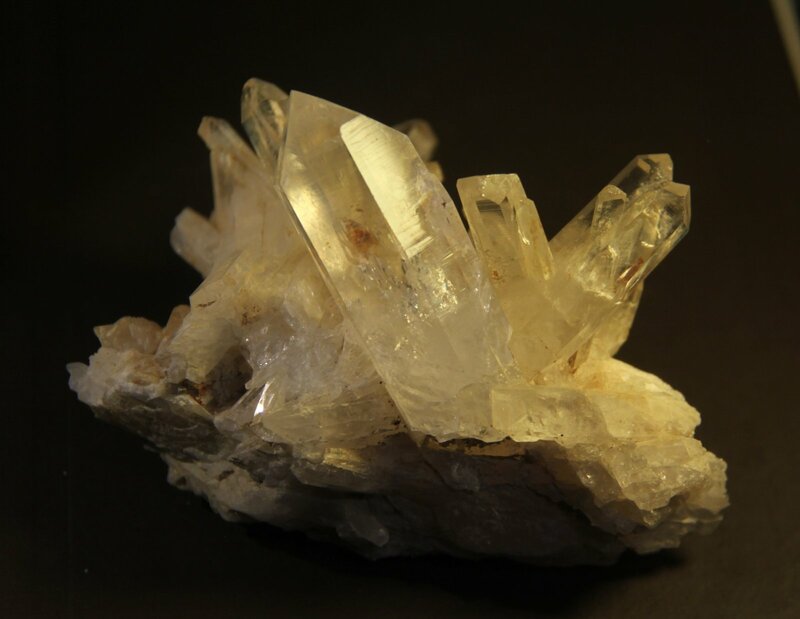 Description: Quartz crystals in matrix. The main crystal is translucent and has a light brown inclusion, surely Goethite. (Nº-30).